This hydrangea was planted many years ago on the shady north side of my house. I really like the color of this plant. I must have a lot of aluminum in my soil since it such a pretty blue. I had a smaller hydrangea planted nearby that was getting crowded out and so I transplanted it to a raised rock garden on the south side of the house. 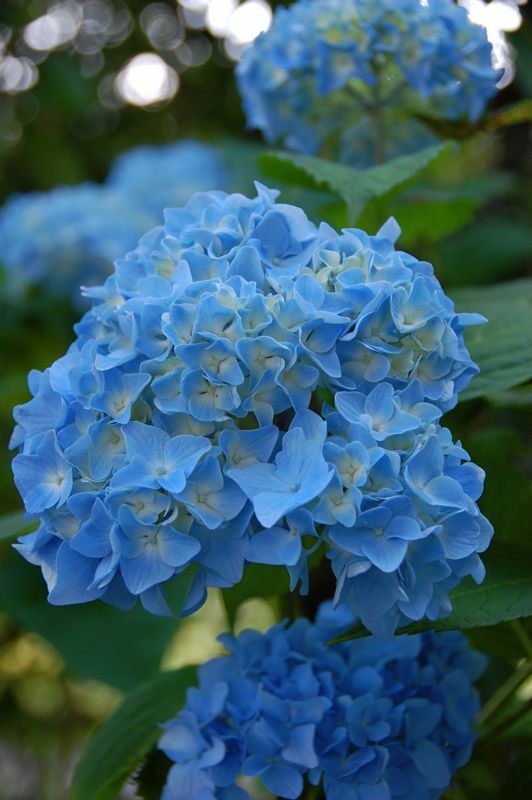 It has turned pink and has never done as well as the other blue hydrangea. Once again, it is trying to grow in a crowded place. Perhaps I should move it again. If I am lucky, I may get it to become another beautiful blue like its original neighbor.